These days, both software developers and software industry publications are specifically gearing material towards the construction industry in increasing numbers. For example, for the third year in a row, the takeoff software consultancy Software Advice has dedicated an issue to new construction trends within the construction industry. 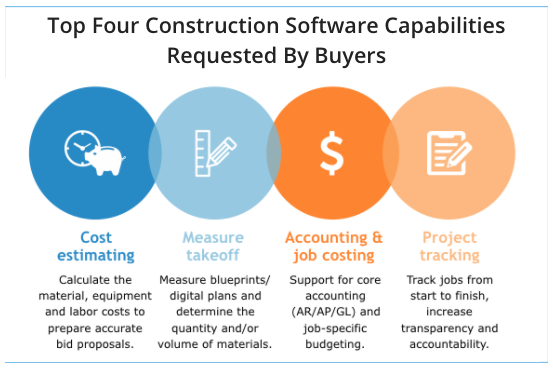 "Our 2016 analysis of trends among construction buyers revealed an interesting finding: While pre-sale functions such as estimating and takeoff continue to top the list of capabilities most often requested by buyers, we found that contractors are increasingly looking for solutions that streamline the actual build process," says Eileen O'Loughlin, the report author. They're also noticing that you not only love your mobile devices but are relying on them as work tools more than ever. 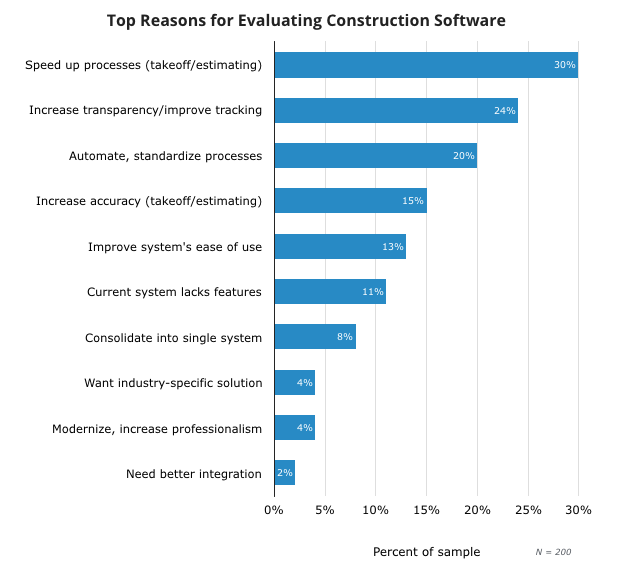 "In fact, six percent of buyers specifically requested solutions with construction apps. These buyers need tools that allow contractors and technicians access to the main system while out on job sites. This makes critical information such as RFIs and change orders immediately accessible to all parties, helping to improve transparency and reduce errors," she added. O'Loughlin concludes by noting that "However, it's important to note that nearly every construction software available for cloud-based deployment is going to include a corresponding mobile application with the purchase of the subscription license. As such, the percentage of buyers looking for mobile connectivity is likely much higher than the six percent referenced above." 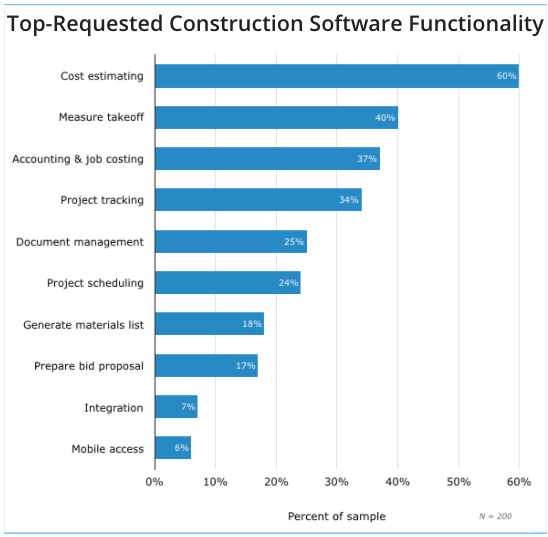 Aside from acknowledging that the internet or Wi-Fi access are now about as essential on worksite as safety shoes, the report clarifies in graph form the current methods being used by potential buyers of construction software. More than half of all managers and superintendents still record paperwork and reports manually. More than 15% of these project supervisors are using software like Raken for daily reporting. And other managers continue to use a mix of methods for “streamlining” project paperwork and communications including doing nothing, non-construction software, and a mix of manual and digital methods of construction industry technology. And how are these "traditional" and "mix and match" firms managing with these methods? An unsurprising 20% of those surveyed indicated that they thought a digital upgrade would help their bottom line. And then there are the starry-eyed dreamers who say they're still waiting for someone to develop their ideal software. But what they and these other managers don't realize is that their industry has the full attention of software developers.